Tempeh is not going to win a beauty contest but with a little love and a marinade, it tastes delicious. 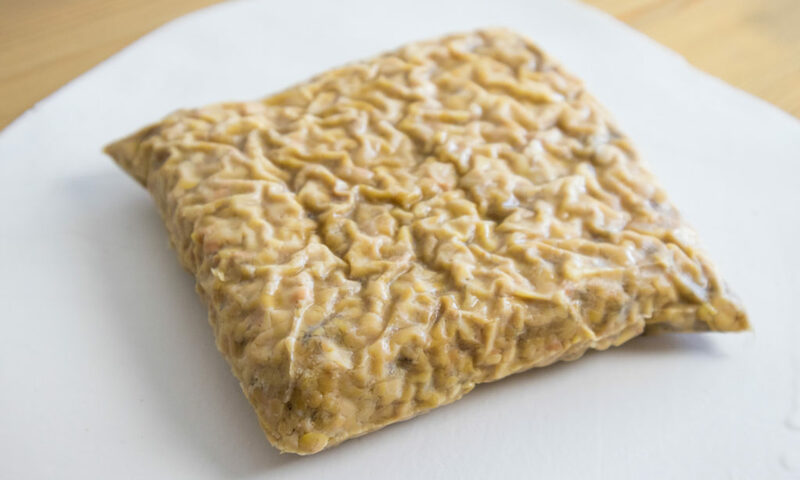 Tempeh is a healthy alternative to meat which has a great texture and will provide you with a good dose of protein, healthy fat, vitamins, minerals. 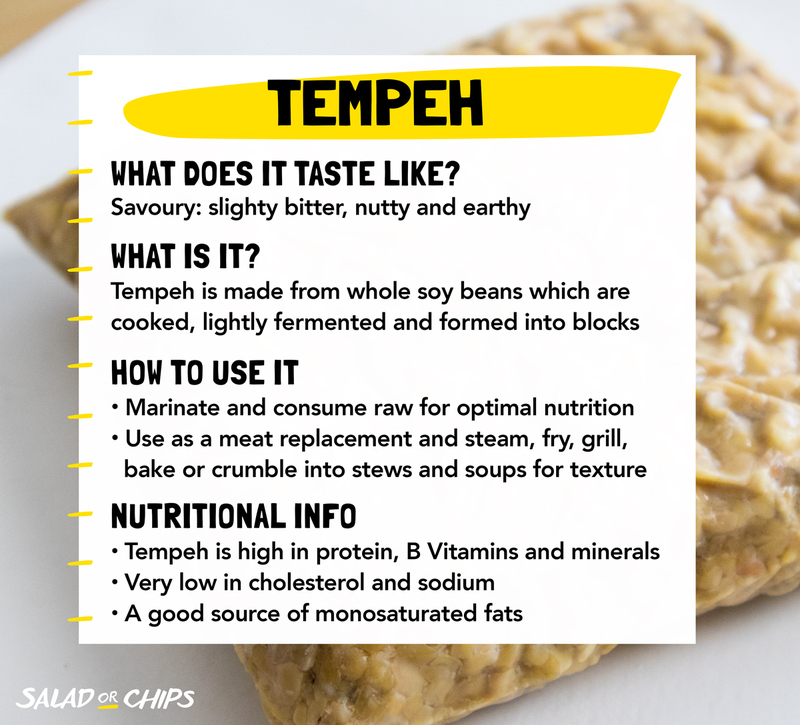 Tempeh [TEM-pay] doesn’t carry a strong flavour but it can really absorb it. Thanks to its high protein and monosaturated fat (the good kind of fat) content it is commonly used as a meat replacement. 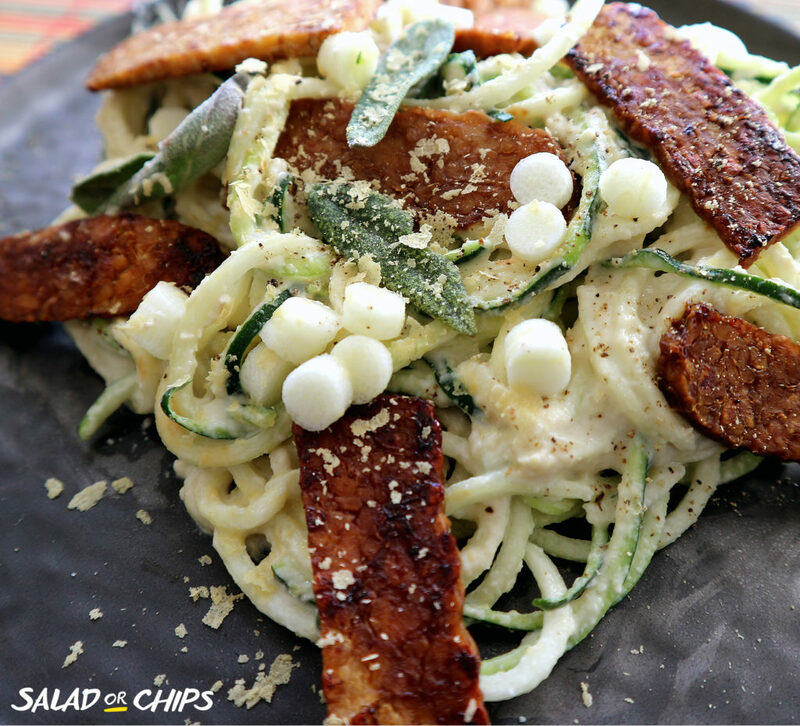 Vegan ‘carbonara’ served with sage and marinated tempeh. Savoury: slightly bitter, nutty and earthy. Some brands can taste yeasty or like mushrooms. Monosaturated fats (MUFAs) are the good fats which usually derive from vegetable oils and plants. Although good fats are essential in our diet they are also calorific so eat in moderation. 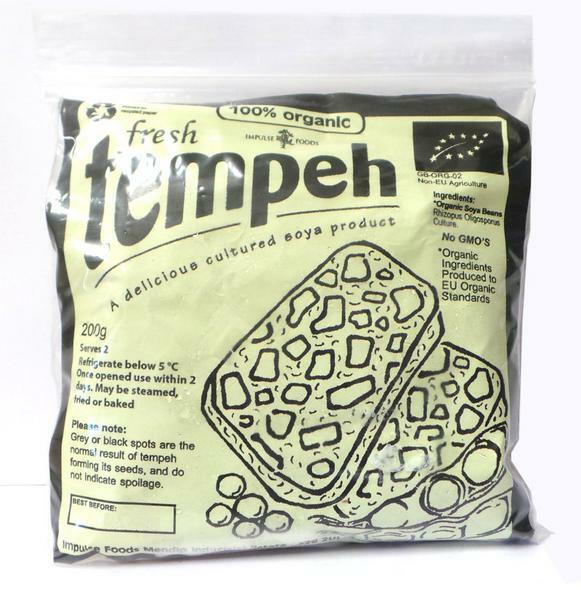 Tempeh was introduced to Europe after the Dutch colonisation of Indonesia, where it originates. Whole soybeans are dehulled, cooked and lightly fermented using a culturing agent such as Rhizopus Oligosporus until it forms a solid block or cake. It is nutritionally superior to tofu which is made from soybean milk. I use the Impulse Foods brand organic tempeh which 100% Organic GM-free. It is available at my local health food shop in the refrigerated section. I have tried the tempeh that comes in a Jar but I don’t think it tastes good at all. If you can’t find it a good organic firm tofu is a great alternative.